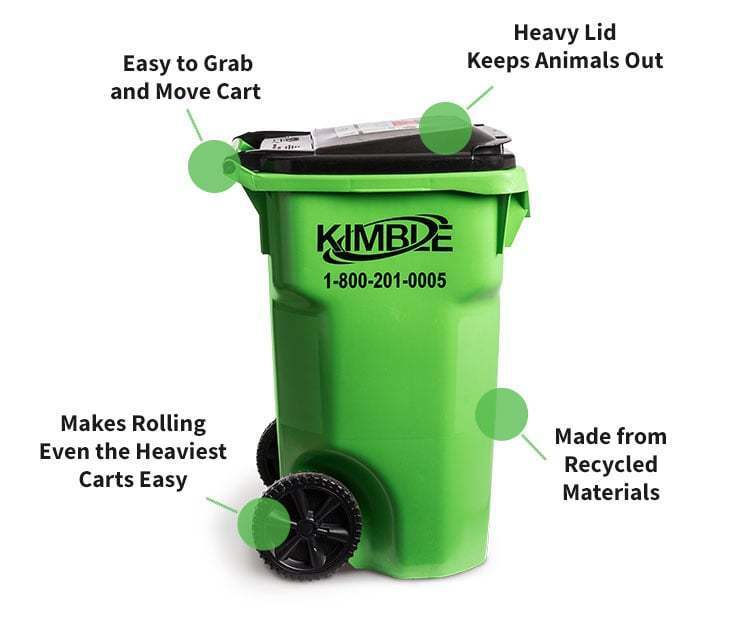 With Kimble, recycling is simple. We do the heavy-lifting, so you don’t have to. Customers that use our residential services receive a plastic cart to fill with recyclables and set out with their regular trash. We’ll pick them up and sort the materials at Kimble’s recycling plant. Large items, such as cardboard boxes, should be broken down so they fit neatly inside of your recycling cart. Together, we can help protect the environment and build a more sustainable future. Give Kimble a call to get started or request service using the button to the right. Not sure what items are acceptable to put in your Kimble recycling cart? Find a full list of the items that can and cannot be recycled.